News quickly spread about the bad fire at the historic cathedral, which is believed to have been caused by renovations, in the early morning hours of April 15. A massive fire engulfed the roof of the cathedral in the heart of the French capital on Monday afternoon as Parisians watched in horror. Video posted to social media shows the 750-ton spire that stood atop the cathedral collapse as the roof burns. 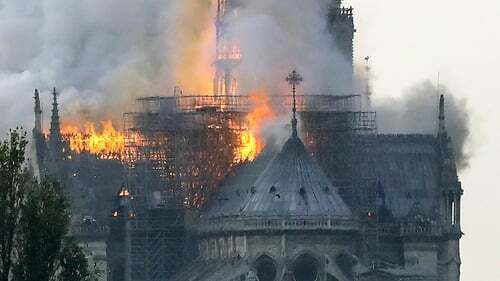 "Notre Dame is not a building, she's an old lady that we come and say "hello" to and pay homage", he said. Pascal told French broadcaster BFMTV: "It's been 800 years that the Cathedral watches over Paris" and its bells pealed for both "happy and unfortunate events". "Deeply saddened by the news of the fire at Notre Dame".